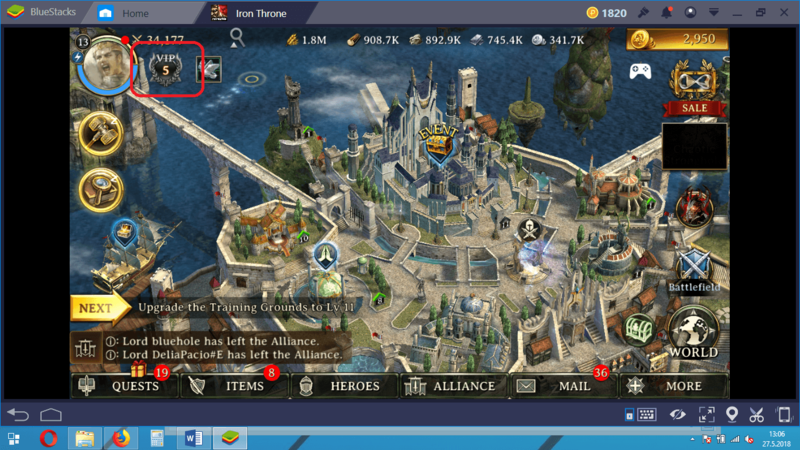 We have already prepared a guide about Iron Throne resource management. 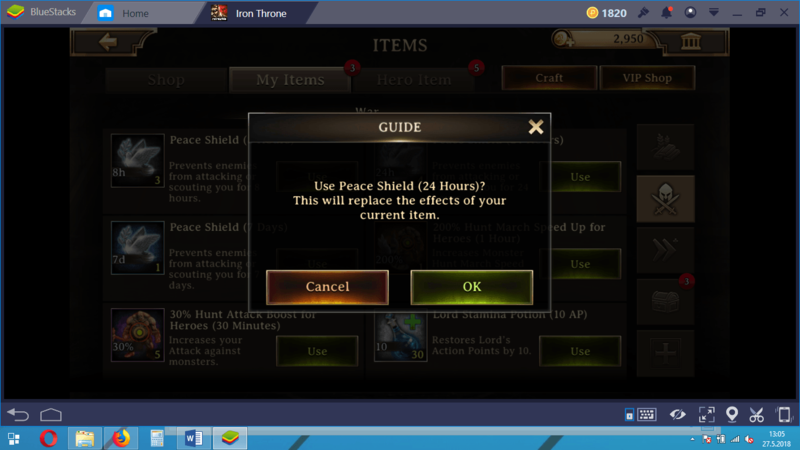 But there is another in-game resource that we have not mentioned in that guide: Gold. 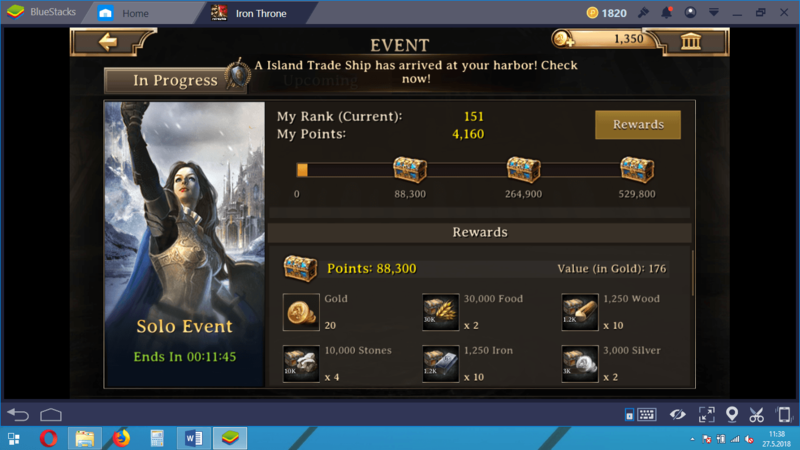 Gold is a resource that can be used for almost every activity in Iron Throne. VIP benefits can make it easier for you to earn gold. In addition, being a VIP player makes almost everything else in the game very easy. This is not an opportunity offered only to players who use real money: Every day, every player can take advantage of VIP benefits for a certain period of time. In this guide, we will talk about both and we will tell you how you can earn more gold and how the VIP system works. What Is Gold and Why Do You Need It? On the main game screen, look at the top right corner: You will see the amount of gold you have. Unlike other sources, gold is not a source you can “produce”. You can only get it by completing certain activities. As can be guessed, it is possible to buy gold with real money too. However, we will talk about free ways of getting gold in this guide, because buying it with real money can cost quite a lot. Buy buffs, items, equipment, and other things at the in-game store. In short, if you have enough gold, you can get everything in the game without waiting. For example, under normal conditions, it takes hours to raise your Castle to level 15. By using gold, you can bypass this time and instantly become the proud owner of a level 15 Castle. In this respect, gold is kind of activating a “cheat mode”. First of all, forget buying gold: If you want to get everything in Iron Throne immediately using gold, you will have to spend thousands of dollars. That’s why we need to learn how to get it for free and how to use it most efficiently. Now, let’s examine them one by one. Tutorial Missions: Tutorial tasks are simple goals given to you by the game until you reach level 10. Almost all of them are about constructing buildings and upgrading them. 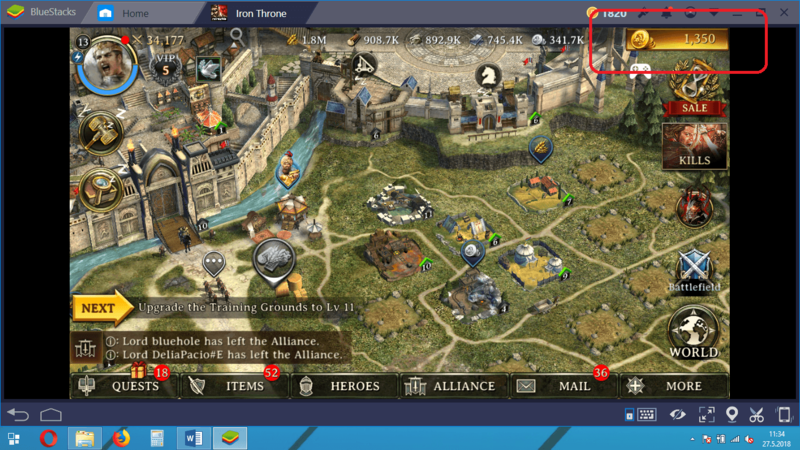 When all the buildings in your castle are above a certain level, the tutorial missions will cease. But until then, every task you complete will give you a certain amount of gold and resources. 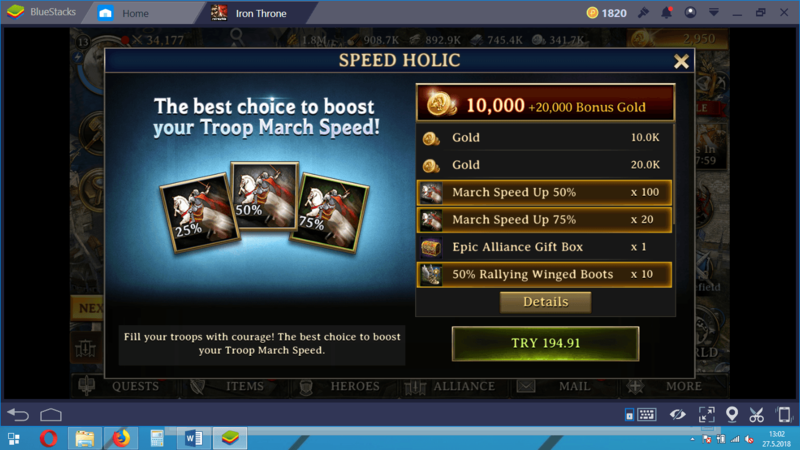 In fact, you can earn about 5,000 gold just by completing the tutorial tasks. 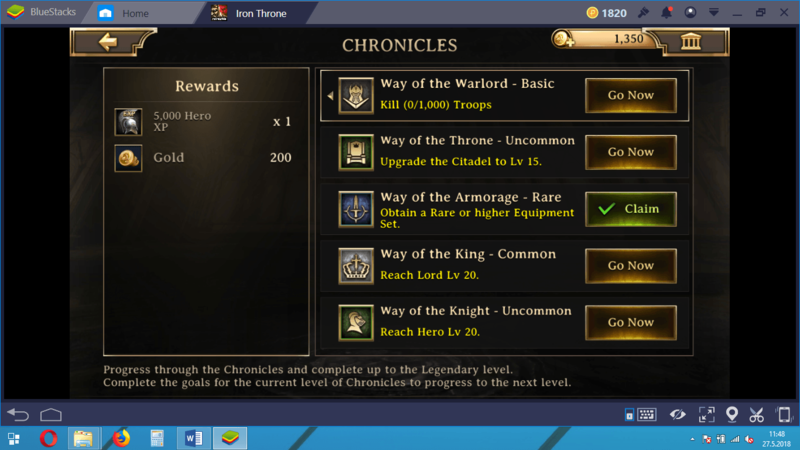 Chronicles Achievements: Completing certain tasks and reaching certain targets will award gold, in addition to resources. You do not need to do any special thing to get this reward: Playing the game is enough to get achievements. 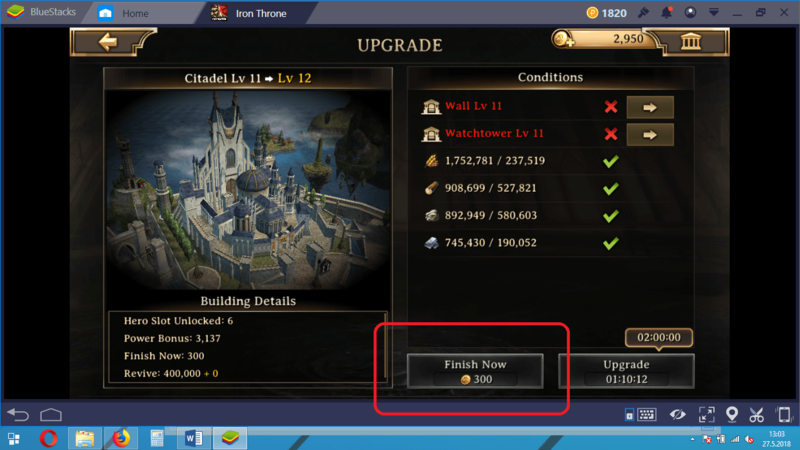 For example, raising your Castle to level 10 is considered an achievement and awarded with 200 gold. Likewise, when your Lord reaches level 20, you get another gold reward. Do not forget to check the “Chronicles” screen to see if you qualify for any new awards. Raid Event: Iron Throne organizes raid events that require the participation of all players. 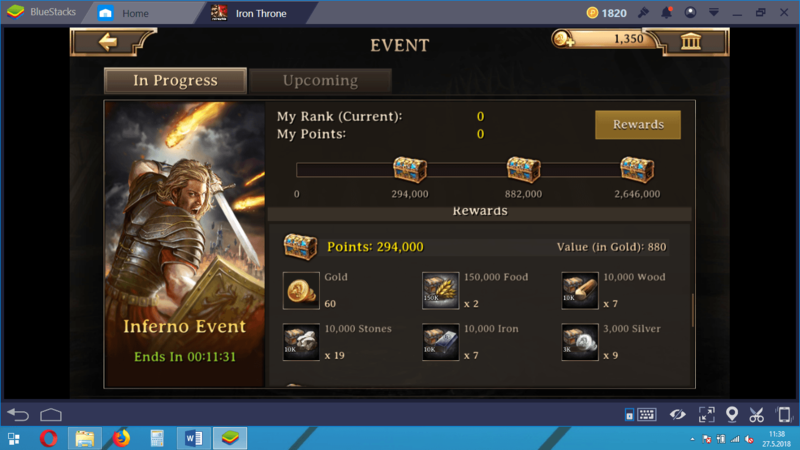 At the end of these events, there is a possibility of getting gold as a reward. Daily Event: All of the events organized on a daily basis award players with gold. There are three types of events you can attend: Solo, inferno, and alliance. Solo events give 20, alliance events give 40, and inferno events give 60 gold. However, in some cases (i.e. 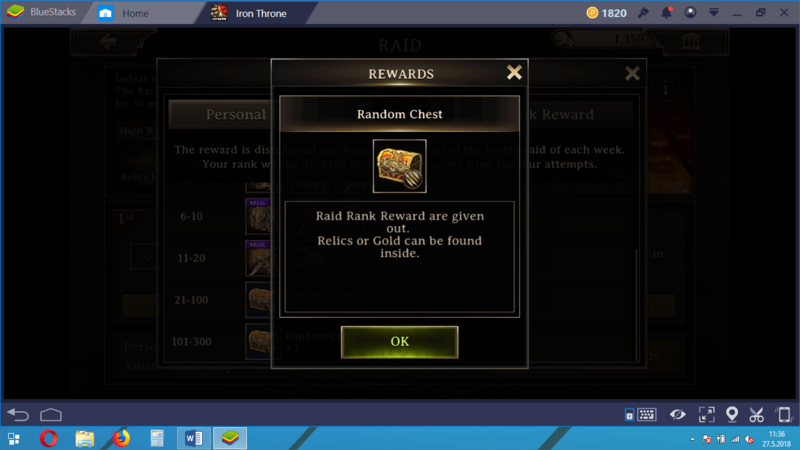 a raid), alliance events can pay more than 100 gold. Do not forget that you can also get additional gold using the tips and tricks we mentioned in another guide: Town Mode chests and clicking on the “red dragon” also award gold. First of all, do not forget that you do not need to spend gold for anything before level 15. Up to this level, the construction of buildings and researches lasts for at most 1 hour. This is a time that can be easily anticipated, and you can even shorten it by getting help from alliance members. In general, we do not recommend using gold to shorten construction times and research periods. There’s one more thing gold can be used for: buying a buff. If you buy and use the right buffs before entering a battle, you will get a big advantage. We explained this in detail in our other guides. Using a buff makes your job easier when you are defending too, not just attacking. For this reason, we recommend that you use your gold only to buy buffs in emergencies. Buying a shield, for example, will be one of the smartest investments you can make. Of course, you can also use your gold to buy VIP period too. Up until you reach level 10, VIP benefits are available for three hours each day. To use the feature, first open the VIP menu, then press the “activate” button. 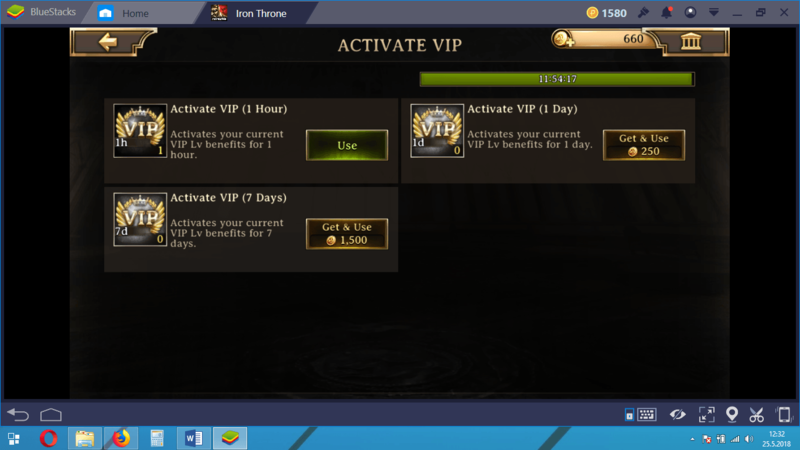 After level 10, you have the right to be a VIP only once per day, which lasts for 1 hour. If you want to extend this period further, you can buy it using gold. In short, VIP benefits allow you to use all features more efficiently than other “normal” players. VIP players develop their kingdoms faster and are able to use more heroes. 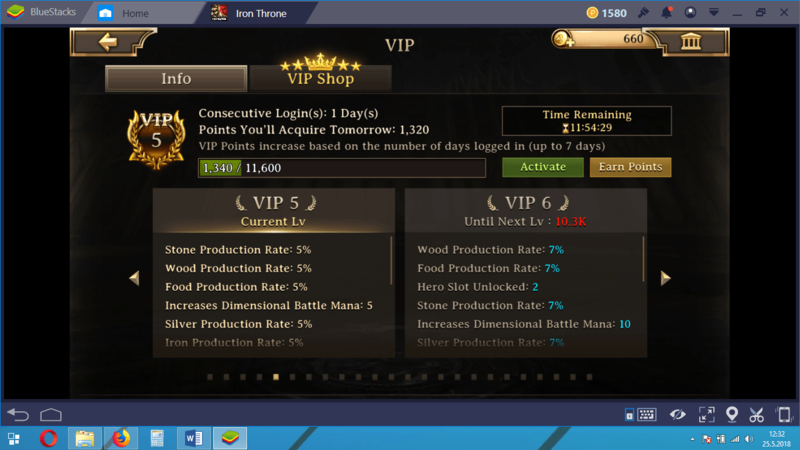 For this reason, try to buy VIP periods often with your gold – for example, buying an hour of VIP status each day will make your job considerably easier. You can also buy VIP time with real money, but our goal is to be able to use all the features offered by Iron Throne without spending any extra money. Now you know which activities give you gold and how you should use that resource: You’ve got another advantage to sit on the iron throne. Read our other Iron Throne guides, practice what you have learned, and start improving your kingdom. Do not forget that BlueStacks will add mouse and keyboard support to the game, which will make it even easier to navigate between menus.